Create Fertile, Productive Soil, Anywhere! Create fertile, productive soil for your garden! 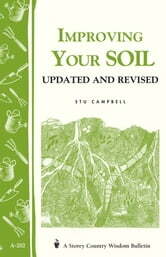 Improving your soil both increases your yield of vegetables and fruit and makes your garden easier to tend. With Improving Your Soil, you’ll learn the best ways to improve the soil in your garden.